CFA Society Istanbul proudly presents the Third International Central and Eastern European Investment conference to be held at Is Sanat Hall, ranked among the most prestigious culture and art centers of Turkey, in Istanbul on November 7th 2014. Amid the mixed signs of recovery and changing political and market dynamics, investment professionals, academics, market authorities and many more including business media will gather in Istanbul to talk about the "The Road to Prosperity in CEE Region." CEE Investment Conference will gather over 300 leaders of the largest Turkish and foreign financial institutions, international investment banks and funds, professional consultants and financial market specialists, as well as representatives of the major business mass media to discuss actual topics of investment potential of the CEE region. The investment opportunities in CEE from the asset managers' perspective. First CEE Investment Conference took place in Bucharest in April 2012, Second in Moscow in April 2013, gathering over 300 influential investment professionals concentrating on the region. The conference is organized by CFA Society Istanbul. CFA Society Istanbul is a non-profit organization aiming to spread professionalism and ethicals standards within the finance industry. The society was founded in 2003 and is a member society of CFA Institute. It is committed to leading the development of the investment industry through the promotion of the highest ethical standards and through the provision of education, professional development, advocacy, information and career support on behalf of its members. 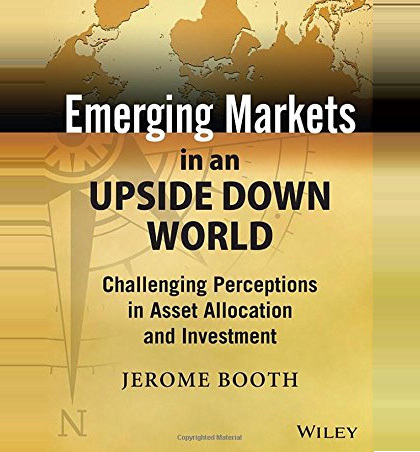 Emerging Markets in an Upside Down World: Challenging Perceptions in Asset Allocation and Investment. © 2014 Central & Eastern Europe Investment Conference All rights reserved.